There are many examples of times when people have needed to hire someone. How did they go about finding a plumber or a builder to hire? Did they utilize the internet to read up on reviews or ask someone close to them for recommendations? No matter the industry, customer reviews and word of mouth recommendations are one of the biggest ways a business reaches potential clients. Without reviews driving many businesses around the world, the volume of the clients would shrink. If a business does everything well from customer service to providing goods, catering to the reasonable needs of the client, they deserve to get some credit for it. Getting that positive review not only shows that particular customer that they mean quality business, but that they will share it with countless others through a customer review. 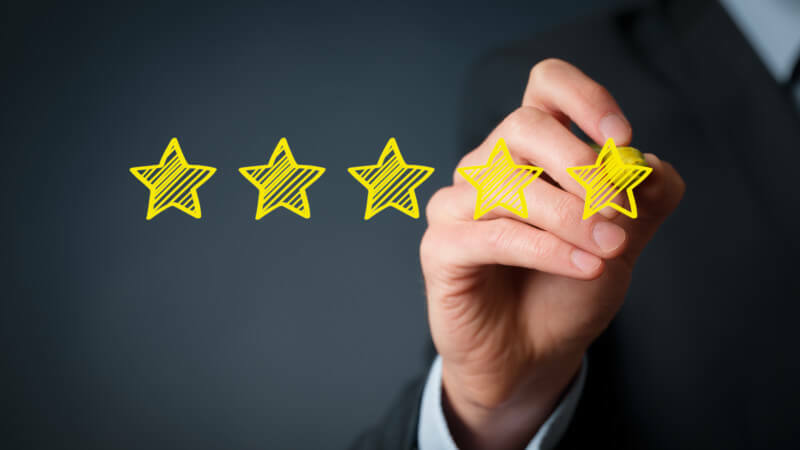 Customer reviews translate to business, but how and when does a business go about asking the client for a review? There are many ways and formats to do so. All can be valuable depending on the circumstances. Customer: That was the very best stay we have ever had here on the island. We truly thank you for allowing us to stay here. Worker: Thank you. That is greatly appreciated. We try our best to accommodate our guests in a way that makes them feel calm and comfortable. Customer: Anytime, we’ll be coming back. Worker: That would be lovely. We rely on customer reviews like yours to reach prospective customers and I am happy we were able to come across you. If you have a minute, do you mind writing a review when you arrive home on (platform of your choice) to help get the word out? The conversation is one of gratitude, so the business person can easily ask for a review as the customer is singing praises. It wasn’t forceful, pushy, or invasive. Instead, it was easy going and friendly. Creating conversations that are easy, productive, and mindful will make it much easier for a business to naturally ask for a review. Face-to-face interaction is probably going to be the most natural way for a business to ask a customer for a review, but it isn’t the only to ask for a review. If one is wondering how to ask for a review over the phone, he or she will want to take a similar approach as they would in person. They have to be selective with who they ask. If they just finished a long conversation with a customer that was filled with troubleshooting, they are probably ready to get off once the solution has been found and it wouldn’t be a proper time to ask. This changes if a customer and the business are talking over the phone and one starts saying how wonderful the business is to work with and continues to praise it as a whole. Thank them, per usual, and explain what their service means to the business and how important customer reviews are for it. Politely ask them to write a positive review for the business.